Many people are against block paving since they feel as though it doesn’t provide many options when it comes to creativity and that it can be a little tricky to maintain. This couldn’t be further from the truth. In reality, it’s among the best solutions if you want a hard-wearing driveway, path or patio without the excessive maintenance. You’ll also find that it doesn’t heat up much throughout the warm summer months, so the material is ideal to use if you park your vehicle on the driveway instead of in the garage. 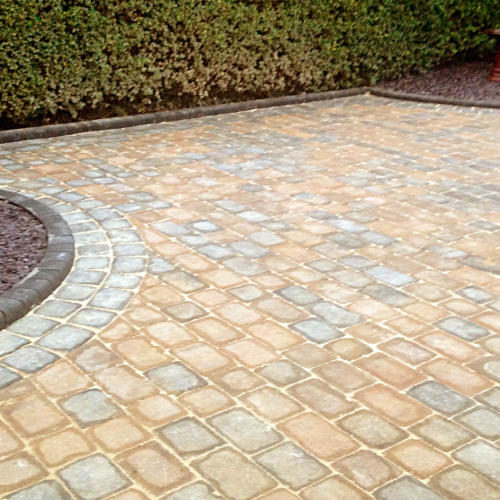 A block paving driveway is also actually very easy to install when you hire a reliable professional. You can have total flexibility over your own design and just about anything is possible – there are countless options to choose from. The most crucial consideration when fitting a tarmac driveway is to get the work done by experts. A tarmac driveway will significantly enhance any home, however big or small, and can transform your driveway – if installed properly. At Copek Resin Bound Aggregates and Surfacing, all work undertaken is completed by skilled tradesmen, therefore we can guarantee that every project we undertake conforms to our stringent in-house standards.